The time for the fourth full-length album by one of the oldest Greek black metal bands has come! 3 years after their last work, that was followed by 3 split releases (2 EPs and a CD), their new work entitled “The Horned Made Flesh” is released by the Greek label Zyklon-B Productions. Legion of Doom was founded in 1990 and they managed to make a good name, mainly in the underground scene always releasing good albums. They had a big break in their discography from 1997 and their second album “For Those of the Blood” until 2005, where their third album “God is Dead” was released. For those who know them, there are no surprises in their new album. They continue to play melodic keyboard based black metal like in their previous album and they are actually very good at it. Soundtrack-like synths have a very important role enriching the sound of the band, while keys have a lead part in the melodies of the songs. I think it is their most melodic album so far and the band has made a nice work in the compositions. There are some parts in the songs where they are totally instrumental, helping the band to sound darker and more sad. Of course they still remain black metal, especially in the riffs and the great screaming vocals, but mostly in the essence of their music. There are also few clean male incantations that add to the mystic atmosphere of the album. The sound and the production in general could be better, but it’s ok and definitely the best they ever had. The overall result is very solid and the balance between melody and black metal at the right level. 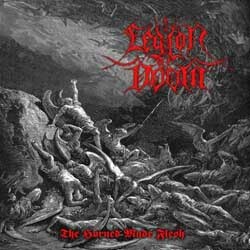 “The Horned Made Flesh” is my favorite work from Legion of Doom and it is released in many different formats to chose: LP, CD, slipcase CD, digipak and A5 digibook, all with different covers!! You can get a taste of the band at their myspace profile. 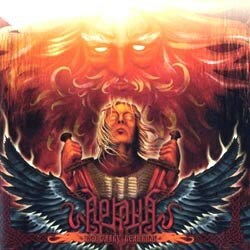 ARKONA – Во Славу Великим! The great success of the biggest Russian folk pagan black metal band and the “name” they created inside and outside Russia lead Vic Records to re-release all their albums, except for the last album that will be re-released by Napalm Records. After the re-release of “Vozrozhdenie” and “Lepta” (initially released in 2004), now it’s the time for “Vo Slavu Velikim – For the Glory of the Great Ones” from 2005 that was released by Sound Age Productions. It is the third album of the band and in my opinion their most solid work. All the great “Arkona” characteristics are here: Masha Scream’s unique vocals changing from black to clean female vocals, amazing folk melodies and traditional instruments… The songs have a more “typical” pagan folk metal structure compared to their next album. The whole album is based on mid tempo melodies with many keys and folk tunes, while the more aggressive parts are less dominant than before. It is really very well written and all of the songs have excellent music and refrains. Every album of Arkona has something different to offer and to focus on. 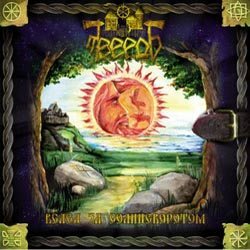 “Lepta” for example had some more brutal parts (with the help of Lesyar) that made it great, “Ot Serdtsa K Nebu” a more experimental mood, while this album’s strong card is its excellent folk melodies! And as I said, compared to their other works the whole album is more balanced with a “particular” solid sound from the beginning to the end. Of course there are also many acoustic and tranquil parts, but they are mixed inside the songs. There is variety in their music but in a smaller scale than in their next album. But they are so good at both albums and ways of composing that it’s really hard to choose… I guess it’s a matter of personal taste. If you missed this album due to its lack of promotion now it’s your chance to get it much easier. If you don’t know this great pagan folk band here you can listen to them. Coming to the music “The Patriot” is the most aggressive work of Holy Blood so far. It’s fast black metal, with many folk Slavonic melodies and a very epic feeling. Many keys (especially in the form of piano), as well as folk instruments (flutes, acoustic guitars) accompany the furious guitars in a great mix. The singer screams most of the time with an expressive voice full of rage and wrath in the characteristic Ukrainian style, while there are also many amazing clean melodic male and female vocals. The level of the songs is very good, both in the blackest parts and especially in the epic folk melodic tunes (some of the best I’ve heard recently) that stay in you mind! A really great album that lasts only for 37 minutes, but the CD contains also a multimedia section with the video clip of the song “The Patriot”. If you are interested in good folk black metal, or if you’d like to explore this Christian metal scene, Holy Blood is a nice band to check, another fine example of Slavonic black metal. Find below the links to their official pages. Darkestrah is the most known (if not the only one) black metal band from Kyrgyzstan, this unknown to many people Asian land in the western borders of China! They have released 3 great albums in the pagan black metal genre, all of them from No Colours Records and they have a good name in the underground. Since all their releases so far were more than decent, I expected to listen to something good from their forth effort, but what I found in this album was much more than what I expected! 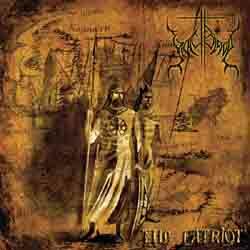 Their pagan black metal is enriched by a folk oriental mood and the result is simply amazing. The concept of the album is about an epic journey from the depths of China to the shores of Syria, passing through all the great different civilizations and cultures in between! They use many traditional oriental instruments in their songs and the guitar lines are based on eastern scales, retaining though their epic black metal orientation. The 4 compositions (there is also an outro) are very long and they stay in mid-tempo rhythms most of time, with some tranquil and some “wilder” parts. One other trademark of Darkestrah is the black metal female vocals of Kriegtalith, who is one of the best singers of the genre, with the perfect balance of emotion, rage, and expression, being both extreme and “bearable” at the same time… Combined with the brilliant melodies of the guitars and keyboards, as well as the excellent oriental touch of folk instruments, they create a unique atmosphere. They manage to compose a masterpiece that combines better than any effort of other bands of the genre black metal and traditional eastern music and scales. Through their music you can feel the ascetic loneliness of nomads, travel with caravans in endless deserts and participate in unknown culture’s rituals. For me it’s one of the top 5 albums I’ve listened in 2008 and I totally recommend it to any fan of epic pagan black metal. 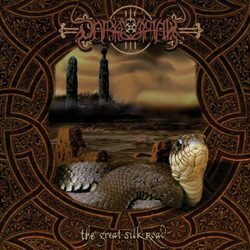 If you also like oriental exotic folk approach in metal, then buy it with no second thought. The melodies, the quality and the sound of the band is close to perfection! It is released by Paragon Records in a beautiful digipak, with a nicely illustrated booklet, following the eastern atmosphere of the music. You can listen to their music at the following links. It was 2007 when Pagan Reign, one of the best Russian folk pagan black metal bands, decided to split-up. The loss is great, but at least two of its members (Vetrodar and Demosthen) formed a new band Tverd, that is ready to take Pagan Reign’s place in our hearts. Even though Tverd’s sound is very close to Pagan Reign’s there are also many differences. The overall sound of the guitars and the rich orchestration full of folk instruments (pipes, flutes, reeds, whistles, zhaleyka, domra, mandolin and authentic percussion) reminds a lot of Pagan Reign. The big difference is in the vocals though, where Tverd’s main vocalists are academic opera singers (Alexandr Ivanov & Svetlana Lebedeva). There are also few black metal screams left, but only in a couple of songs. These songs are excellent and I believe their combination of extreme and clean vocals is amazing, so I wish they will use them again, hopefully more extensively, in their future works. Generally Tverd is like a lighter version of Pagan Reign with more emphasis on melody. All of the compositions are very good, with excellent folk tunes and scales, while the operatic vocals work perfectly! They have of course a more folk approach than classic opera singing and sometimes the female vocals become totally traditional! No need to mention that both singers are very good, unlike Pagan Reign’s clean vocals in their older works… All the lyrics are in Russian and they display their deep regard for their nation, history, culture and native Slavonic beliefs. There is no room for melancholy and sadness in their folk metal, but only pride and a very “positive” feeling, full of life, energy and “pagan” mood. This is reflected also in the colorful 24-page booklet with amazing paintings of Slavonic traditional, fantasy and epic themes. Everything is really well played and the production perfect! I am very pleased with Vetrodar’s decision to form Tverd and I hope they will release many more albums. This is a very original and interesting band, that deserves the attention at least of all folk metal fans. You should visit their official pages and find more about this great band. 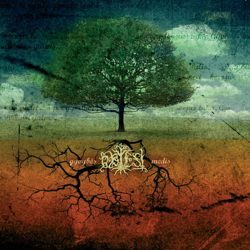 Obtest is an old band from Lithuania. They exist from 1992 and this is their fourth full-length album, although they count also many EPs. Except for their debut “Tukstantmetis” where they were more black metal influenced, they have built a very personal sound on all their other releases, and they try to perfect it with their last effort “Gyvybës Medis”. If you have never listened to Obtest before you will find this cd very original, but if you’ve heard “Auka Seniems Dievams” or “Iš Kartos Į Kartą” the surprise element is gone. Of course the album is very good, with better production and maturity, and it is released in many different formats. Except for normal jewel case cd, it is also available in digipak format and in A5 deluxe digibook with the band’s biography (only in Lithuanian though), and even in picture LP. You can visit Obtest’s official pages to listen with your own ears. Equilibrium is a band from Germany, formed in 2001 and released their debut “Turis Fratyr” in 2005. Their folk black metal must have made quite an impression since their new work is released by Nuclear Blast, which was somehow surprising for me! First of all this album is different from their first work, with much more expensive production and a mainstream rich sound! Their music is melodic symphonic black metal with many folk tunes and instruments. It has an epic majestic approach and most of the songs are at high speed, in a restless bombastic attack! There are also 2 instrumental tracks (one of them is the 16 minute masterpiece “Mana”), which help the listener relax a bit from the continuous assault. 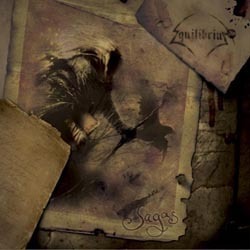 The album is very long (more than 79 minutes) and it’s amazing how Equilibrium manage to come up with so many interesting ideas, themes and melodies… I believe that the whole album is basically like a big song, since the tracks don’t have the typical structure (bridge, refrain, etc) and many different genres are mixed into one: black metal, death metal, symphonic metal, classic heavy, power, Viking metal, all blended together. The band uses only black metal vocals, even in the more melodic parts and in the refrains. Another element in their music is that they don’t use only the typical “Viking” folk instruments, but they experiment with sounds that sometimes create a more oriental, or even “exotic” atmosphere! The compositions and the production of “Sagas” are really at very high standards, as well as the musicianship and the technical skills of the band. If you are fan of bands like Ensiferum you should really check ’em out. There is a real effort in this album to put so many excellent ideas and atmospheres into one album and the result for this ambitious effort is more than satisfying, even though it can be a bit tiring at some parts. Of course if you prefer minimalism and simplicity in music, Equilibrium aren’t for you. The only thing I would like to listen from them is a bigger variety in the vocals (some clean and choirs could fit perfectly) and maybe a shorter album would be easier to assimilate. Of course I don’t complain, since the album is more than great! Their official pages offers many songs, so you better visit them. Experimentation in metal seems to have no limits and this is something that keeps this music alive for so many decades! Imperthean is a one man’s band from USA. It was formed in 2007 and so far they released this very interesting CD “The Sounds Above”. It isn’t easy at all to describe their music, since it’s a weird mixture of many different genres. It has many electronic elements under a black metal filter. 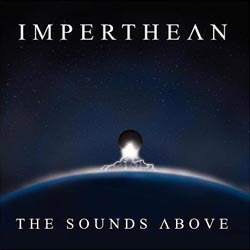 The album’s atmosphere and lyrics deals with outer space and Imperthean’s “The Sounds Above” manages to sound like a dark futuristic space soundtrack. There is an alien melancholic mood all over the album, like an outer civilization landing on a destroyed, deserted, ruined earth in the near future. They are definitely original, and their vision of electronic music mixed with black metal elements is very different from any other efforts in the past. Industrial gothic, synthetic cyber samples, black guitars, dark soundtrack music, distorted “robotic” vocals and screams, compose this unique sound. The production of the album is more than ok, but I believe it can be improved in the future, with much more impressive results! Imperthean deserve the attention of those who like bizarre experiments in music, or horror space soundtracks. They (he) are already composing the second album! Since it is self released you can visit their myspace profile to listen to them and find details on how to buy the CD.